Let's have fun with money all over again. A week into 2018… Is one of your resolutions to stick to a budget in 2018? Is it to stick to a tight budget to pay off debt or save for a family vacation. I’m here to tell you that so often a few weeks into the new year, our resolutions usually disappear as fast as they enter into our thoughts on December 31st. I’ve seen this a lot with the clients that I work with & mainly it is because too often spouses aren’t on the same page financially. Usually, one partner in the relationship focuses on a budget or having an easier financial life but they don’t take the time to communicate it with their partner/spouse. We all know that money can cause a multitude of issues in a relationship. And, too often it can lead to divorce so why do we spend little to no time actually discussing money in our relationships? A healthy relationship with Money & Finances are a key contributor to our financial success & can make or break our financial future. 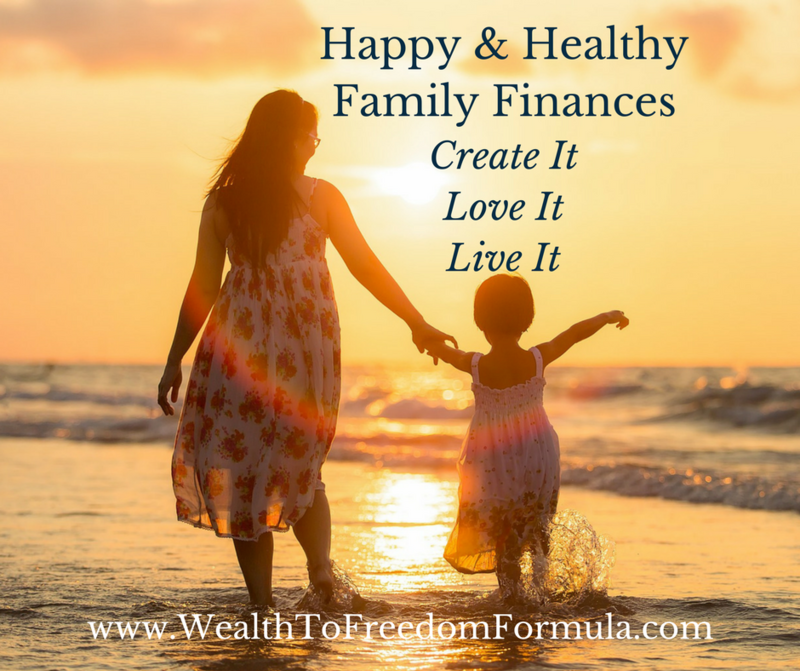 So, how do we keep to our resolutions to have Happy & Healthy Family Finances? All it takes is a brave conversation between partners/spouses to discuss what financial goals you both have both short and long term & an agreement on how to work towards those goals. And both partners/spouses should also know income, expenses & financial obligations on a monthly/yearly basis. By keeping the communication open within the family it frees up the money conversation and allows both partners/spouses to be empowered with the family finances. Healthy conversations around money will lessen the financial stress & anxiety. It really all comes down to compromise. We all come from different financial background and beliefs & when you recognize the financial differences the conversations around money becomes easier. And then the goals with money become easier. If we continue stress-filled conversations around money within the household we continue to pass on these stressful conversations to our children. When we have open & healthy money conversations we heal ourselves from the stress & anxiety around money & our children start to have a Happier, Stress-Free, Relationship with Money. What an incredible impact we would have on our children to be able to have stress-free conversations around money with our partners/spouses & our children. This wasn’t easy at the beginning in our household. Let’s start with my spouse & I, we come from totally different financial background. Although both of us come from middle class families, I came from a Entrepreneurial household (inconsistent monthly cash flows) & my wife comes from a family where her father worked for the same company his entire career & retired with a pension (consistent monthly cash flows). So needless to say I am the risk taker in the family & my wife is the conservative one with money. And, I bought two children to the relationship as well! Family Finances weren’t the easiest of conversations when we decided to combine our finances, discuss financial goals, retirement goals, children’s expenses, home expenses, investment properties, retirement accounts & family vacations. It took lots of patience, conversations, compromise & acknowledgement that we come from VERY DIFFERENT financial backgrounds. We made it a priority in our relationship to be open and honest about our money values, our financial goals, our career goals & our investment goals. We check in monthly with each other about our budget, income, expenses & Net Worth. We also have family discussions with our children about money values & our family vacation fund. We are open & honest when our children ask about income, expenses & family finances. We negotiate purchases and activities with our children & have made a conscience choice to have Happy & Healthy Family Finances. It all begins with the choice to have a happy relationship with money & to bring the conversation to your partner/spouse & children. It will have an incredible positive impact in your relationship & on your children’s future financial life.